Yes, it is. What is it, you may ask? 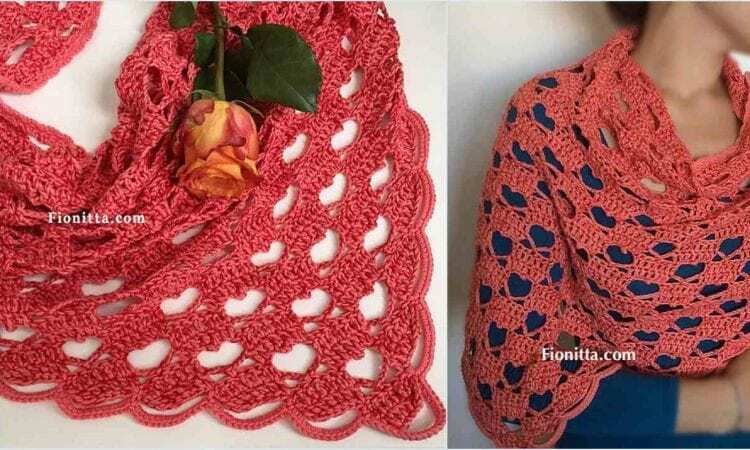 Why, a perfect shawl pattern for Valentine’s Day, of course. Show your Valentines spirit by sporting one of these on the 14th. The pattern consists of a free tutorial supported with diagrams. There is also a video tutorial with a written English pattern displayed on the screen. A link the free pattern is at the end of the post.